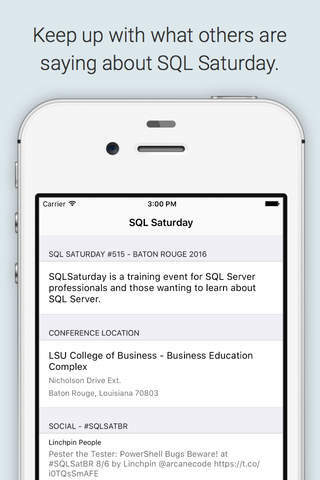 An app for SQL Saturday #515 in Baton Rouge, LA. View the schedule, learn about the speakers, and about the sponsors. You can also follow along with our Twitter stream and be social with the rest of the conference.